Bayern midfielder Renato Sanches could reportedly be heading to Premier league giants Manchester United, after the German club’s CEO gave a clear indication that the 19-year-old would be leaving Munich this summer. United gaffer Jose Mourinho wanted to bring in the highly-rated midfielder last summer, but was eventually beaten by the Bundesliga Champions, as they captured Sanches for £31 million in May. Nonetheless, a move to Manchester United may be on the table this summer. 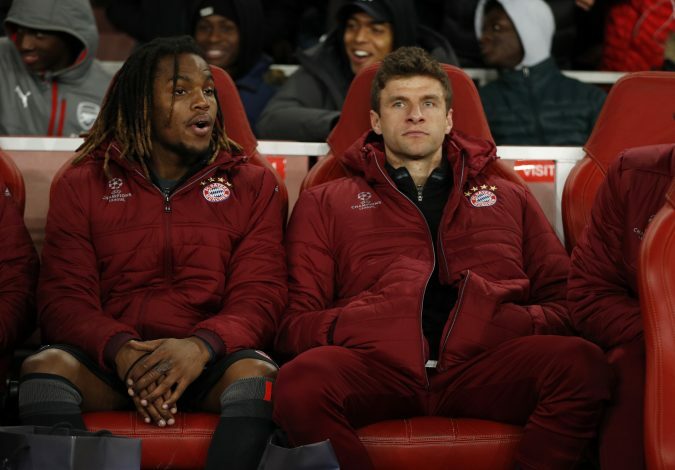 It was recently revealed by Bayern CEO Karl-Heinz Rummenigge that a potential move away from the Allianz Arena for Sanches was definitely on the cards this summer – be it on a temporary basis, on permanent. Rummenigge stated: “He is a player who needs to play regularly. So if we feel he is not going to get enough game time, then we will loan him out, or maybe even sell him. Last season, particularly after the winter break, he didn’t get enough appearances. That wasn’t because of the coach, it was because of (Sanches) himself. However, the Daily Mail believes that the German giants would prefer to allow Renato Sanches to leave on a one-year loan, rather than allowing such highly-rated youngster leave permanently. In that case, it will be interesting to see if Jose Mourinho takes the risk of reviving his fellow countryman’s career, only to see Bayern returning to knock on the Old Trafford doors a year later to take back their midfielder.